The Italo-Normans, or Siculo-Normans when referring to Sicily and Southern Italy, were the Italian-born descendants of the first Norman conquerors to travel to southern Italy in the first half of the eleventh century. 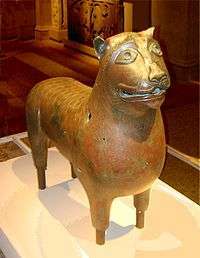 While maintaining much of their distinctly Norman piety and customs of war, they were shaped by the diversity of southern Italy, by the cultures and customs of the Greeks, Lombards, and Arabs in Sicily. Normans first arrived in Italy as pilgrims probably either on their way or returning from Rome or Jerusalem also visiting the shrine at Monte Gargano in the late tenth and early eleventh century. In 1017, the Lombard lords in Apulia recruited their assistance against the dwindling power of the Byzantine Catapanate of Italy. They soon established vassal states of their own and began to expand their conquests until they were encroaching on the Lombard principalities of Benevento and Capua, Saracen controlled territories, and territory under papal allegiance, as well as Greek. They began the conquest of Sicily in 1061 and it was complete by 1091. Indeed, Italo-Normans were the primary Norman mercenaries in the employ of the Byzantine emperors. Many found service in Rome, under the pope, and some went to Spain to join the Reconquista. In 1096, the Normans of Bohemond of Taranto joined the First Crusade and set up the principality of Antioch in the Levant. 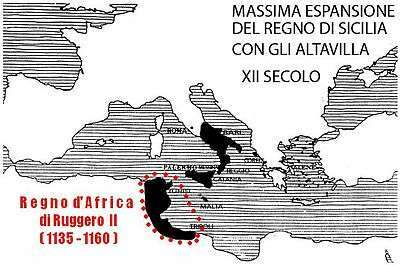 In 1130, under Roger II, they created the Kingdom of Sicily, encompassing the whole of their conquests in the peninsula and the island. From 1135 to 1155 Roger II even created the Italo-Norman Kingdom of Africa in coastal Tunisia and Tripolitania. He planned to unite this African kingdom to his Kingdom of Sicily, but his death in 1154 stopped him. This Italo-Norman kingdom in southern Italy, when founded in 1130, united the whole of southern Italy under the same rule for the first time since the Roman Empire fell. The Roger II dynasty continued with William I and William II. After the latter’s death without heirs in 1189 and the brief reign of Tancred of Lecce, the German Emperor Henry VI of Swabia conquered the kingdom in 1194 from William III of Sicily, putting an end to the Italo-Norman dynasty. Loud, Graham A. The Age of Robert Guiscard: Southern Italy and the Norman Conquest (series The Medieval World) Essex: Longman 2000. 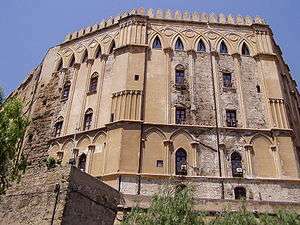 ↑ The Norman leader Rainulf Drengot was granted a base in the fortress of Aversa in 1029.